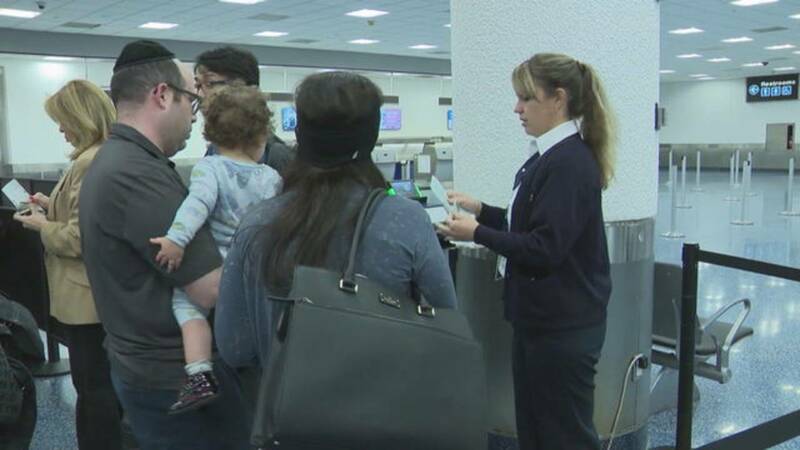 Passenger acceptance: Can Passenger complaints get you kicked off a flight? Can Passenger complaints get you kicked off a flight? In a word, yes, passengers may be removed due to passenger complaints, if supported by crew and at the discretion of the Captain. The reasons will vary by airline and often as they’re interpreted by a specific crew. In this instance, offensive odor is specified in the Conditions of Carriage , under Passenger Acceptance. In a word, yes, passengers may be removed due to passenger complaints, at the discretion of the Captain. Was the odor potentially from the child’s diaper having been utilized? My issue is not that body odor can get you kicked off a plane (though after 36 hours of travel on buses, trains, and planes from remote parts of the world, I don't want to think too much about my body odor, though that doesn't apply here). My issue is that AA makes no assertion that they investigated and concurred with the accusation. They accepted the passenger complaints at face value. So anyone with a personal or ethnic dislike of someone else can get them kicked off a plane? I don't think that AA has any personal or ethnic dislikes of anyone, but to not be alert to this possibility and do some independent investigation sounds like poor customer service training to me. My issue is that AA makes no assertion that they investigated and concurred with the accusation. They accepted the passenger complaints at face value. GTITAN, DiverDave and tartempion like this. We really have no idea what happened. I’ve been with people who, to themselves, were just fine; to me, maybe less so. Often it was about me and what I’m used to. But I’ve visited with, as examples, Ovahimba and Maasai people. The former groom themselves with sheep fat and ochre, the latter live around cattle, bring young calves into their shelters to sleep with them and smell perpetually smokey. I’ve worked with others who had eaten really pungent kimchi, I’ve been with others eating Durian etc. And I’m sure others from different cultures have had different perceptions of me. I could imagine AA pax complaining about odors they’re unused to and crew following through. But I’m not willing to somehow deduce this was based in diaper poop, ethnicity or any other factor without knowing any facts about this matter. Uh, they're not getting kicked off due to the passenger complaints. They're getting kicked off because of the odor. The crew may have been notified of such by the passengers, but it's the crew's ultimate call as to whether it rises to a violation of the COC. Edited: Saw a different photo taken from a different angle. The people who got kicked off alleged that it was because they're Jewish. Quick question: since the pax aren't wearing religious clothing of any kind, how would anyone know they were Jewish ? Looks like another case of unscrupulous pax trying to game the outrage machine into giving them free stuff. The rejected male passenger has a yarmulke on his head IIRC. And the wife of the male passenger seems dressed in a way that does seem Orthodox Jewish of sorts too. if you clicked the link, you'd see the cap front and center.
. They're getting kicked off because of the odor. The crew may have been notified of such by the passengers, but it's the crew's ultimate call as to whether it rises to a violation of the COC. Thanks for the pic...I read the story thru a different link that had a front photo of the pax. So now: LOOK AT THOSE PITS! That guy is DRIPPING in sweat. No wonder he reeked. Crew and GA have to make quick decisions. If other paxs are complaining of body odor coming from other paxs there's no time to have a committee meeting to make a decision. I understand that people sometimes fly long distances and don't have the luxury of lounge memberships/admittance to take showers. But they can go to the airport bathroom and "freshen up". An a/c is a small shared metal tube. I didn't mean to suggest a board meeting be called. But I would think at a minimum, ONE crew member would need to corroborate the complaint before removing the passengers. While yes, they are under time pressure, kicking a passenger off a flight is not something that should be taken lightly, for many reasons. And I'm sure that the stress of being removed from the flight, carrying luggage, and a baby had absolutely nothing to do with that sweat. When I've had long enough layovers, I've showered for long trips. But just last January, I did an insane trip SIN-HEL-LHR-JFK-CLT-AUS, and wasn't at any particular airport long enough to shower. Heck, I barely had enough time at LHR to simply do the T3-->T5 switch. Thankfully no one complained about me at any point. And yes, we all smell differently to people of other cultures. I spent some time in Korea in the military, and since I spoke the language went out through some of the country. I was told more than once that they could smell me coming. JDiver, roberto99, deeruck and 1 others like this.